Home > RPG > Ready your controllers: Hyakki Castle is now on consoles! Ready your controllers: Hyakki Castle is now on consoles! 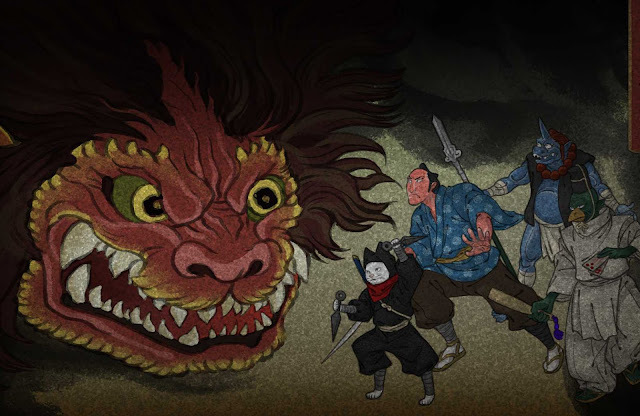 We first had the pleasure of playing Hyakki Castle when it was released for PC in 2017, and Matt gave it a high rating, praising its combination of a Western approach to a dungeon crawler with Japanese themes. And today, the game has been released on two consoles under the title Haunted Dungeons: Hyakki Castle. Set in Japan's Edo Period and featuring a gorgeous Ukiyoe art style, the game is best described as real-time dungeon RPG. The game is set on Hyakki Island, where prisoners are sent in exile. Seemingly out of nowhere, a castle appears on the island. Along with it comes far too many monsters, including the aforementioned Yokai of Japanese literature... and they're all just waiting for you to enter. One of the island's inhabitants is a rebel mastermind who aims to overthrow the Shogun order. As the player, you become four special agents of the Shogun order. Each is part of a specific class and race: Human, Nekomata, Oni, Tengu. Related Reading: Matt's interview with Saito about why he decided to make a Yokai-filled crawler. 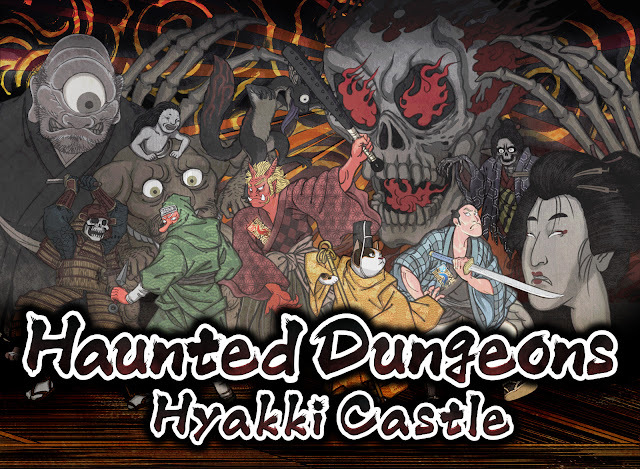 Haunted Dungeons: Hyakki Castle features something new to console titles, a two-party system that aims to makes strategic fights easier. Essentially, your four characters can split into two parties of two, allowing complex attacks to become easy. It is often needed to complete puzzles as well as fighting battles. If that sounds complicated, don't worry, because there's a tutorial in the game that will teach you the basics. Featuring a redesigned UI made for consoles, Haunted Dungeons: Hyakki Castle is now available digitally for the Nintendo Switch and PlayStation 4. The previous release, simply titled Hyakki Castle, is still available for PC.